Seems like you are talking about Najib.! BN Selangor especially UMNO is like a headless crokcroaches. Where’s my head! Where’s my head where my head!. You know what I mean. Khalid should have signed the water deal in 2008 when all research done by Government shows that 2014 is a Water Crisis for Selangor and its proven plus State Goverment crisis!. If Khalid really honestly work for the rakyat that deal is done in 2008 and Raykat Selangor no need to worry like now. Li Kit Siang and Sons, Anwar Ibrahim and Family, The karpals , Hannah Yeoh and family plus MB Khalid with water cut no issue. Just clip the finger there you are water lorry in front their house. Not to mentioned the swimming pool. SO YOU VOTED THEM AND YOU GET WHAT YOU DONT WISH FOR!. Can’t say it any better. You just hit the nail in the head. 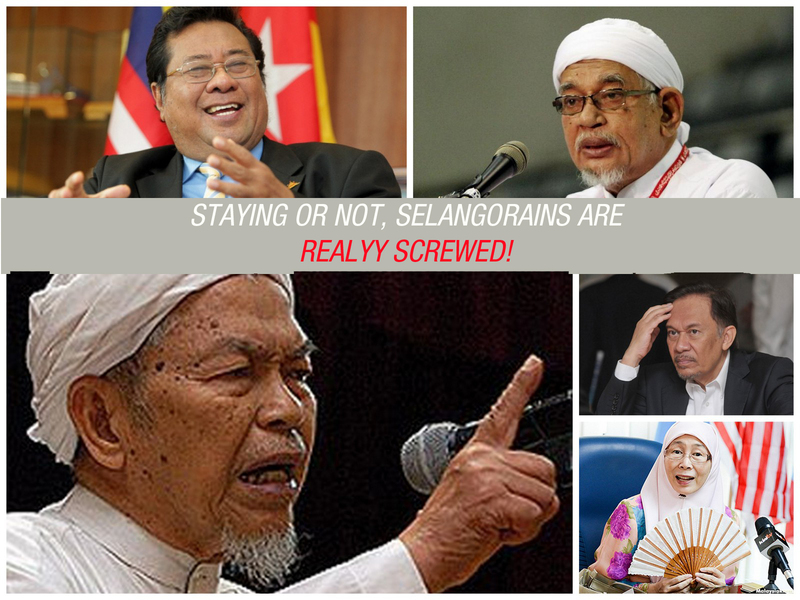 Selangorians, wake up!.